New installation and retrofit project overviews. Multiple application briefs detail how Pyramid has helped companies in a variety of industries seamlessly integrate, optimize and manage their distribution center (DC) operations. A leading .com women’s intimate apparel retailer needed a powerful, flexible warehouse execution system (WES) installed and customized for a facility-wide implementation within its new, greenfield, state-of-the-art order fulfillment distribution center (DC). As the company’s only DC, the facility handles a variety of branded cosmetics, perfumes, personal care items, home décor, footwear, outerwear and women’s clothing. Read how Pyramid Director WES optimizes order fulfillment across multiple technologies to deliver maximum efficiency and precise inventory control. To better support store replenishment, a leading women’s intimate apparel retailer needed a powerful, flexible warehouse execution system (WES) installed and customized. 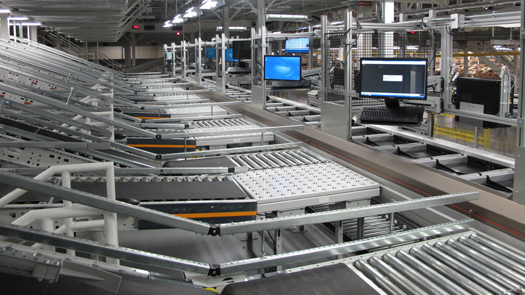 The company also required new material handling equipment (MHE) with Pyramid Controller Series control hardware and software for a retrofit and upgrade at its sole existing store replenishment distribution center (DC), in the Midwest. Read how Pyramid Director WES interfaces with the Pyramid Controller Series to direct picking and routing of inventory to retail stores. 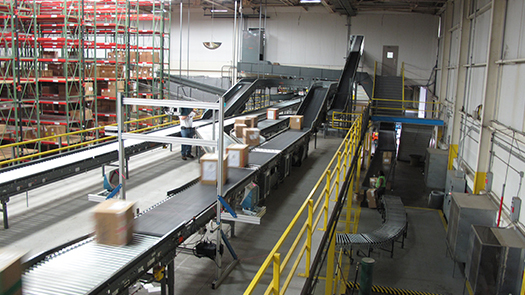 A leading retailer of lingerie, personal care and beauty products, apparel and accessories conducted an enterprise-wide study of its distribution center (DC) operations in an effort to make significant improvements in post-packing to shipping processes. Although such an exercise is common today, this company initiated their study in 1996. Findings included the need to introduce compliance labeling within the outbound supply chain and to automate shipping label printing and application. Read how Pyramid’s cutting-edge, high-performance print/apply labeling system for store deliveries and e-commerce fulfillment improves the outbound supply chain. A top shoe and accessory retailer needed to update and expand its store fulfillment distribution center (DC) infrastructure in order to keep pace with current and forecasted growth while implementing new business and handling processes. In addition to increasing productivity and efficiency, the company wanted to significantly enhance inventory visibility and implement more precise control methods in order to better meet store needs. Read how Pyramid replaced outdated controls with of Director WES. Thanks to rapid sales growth and the addition of new product lines, a leading retailer of officially licensed college and professional sports merchandise (and a Top 50 Internet Retailer) needed to significantly expand and modernize the order fulfillment infrastructure and capacity of their new distribution center (DC) for direct-to-consumer (DTC) shipments. 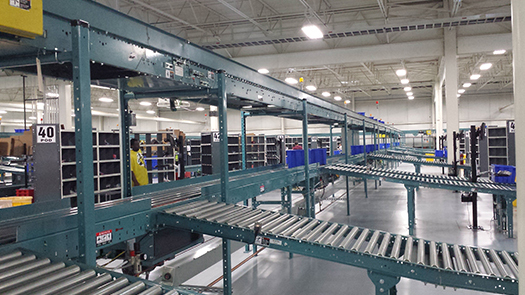 Read how Pyramid outfitted their new facility with Director WES, and how the warehouse execution system handles many of the processes normally associated with a warehouse management system (WMS). 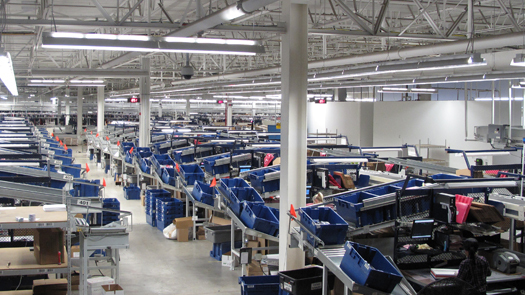 A leading e-commerce apparel retailer, and longstanding customer, asked Pyramid to assist in resolving serious problems associated with two automated order fulfillment bagging lines (called “autobaggers”). 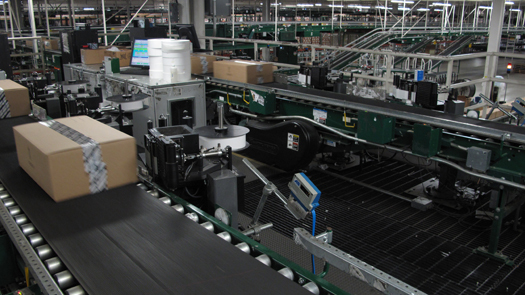 These autobaggers play a critical role in processing the vast majority of the fulfillment center’s single- and multi-line orders by automatically generating an invoice and returns authorization paperwork; combining the invoice with merchandise and marketing collateral; packaging all the aforementioned items; and printing/applying a GS1-compliant shipping label for delivery. Initially implemented in 2007 (by a different system integrator), the autobaggers never achieved the facility’s performance goals. 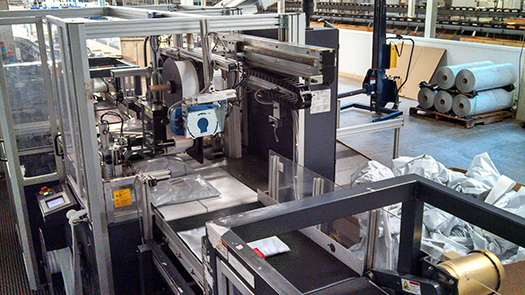 Read how Pyramid upgraded and re-engineered automatic bag insertion order fulfillment lines with Director WCS and customized controls, boosting output to 20 orders/minute.